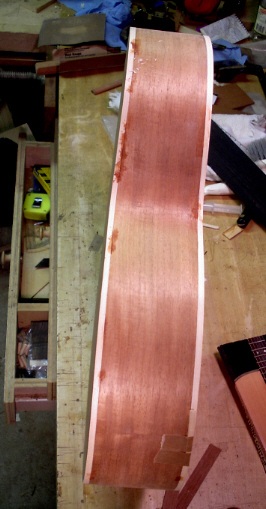 conspicuous over time as the mahogany darkens. 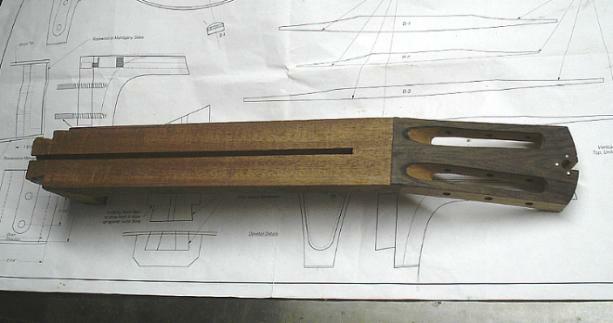 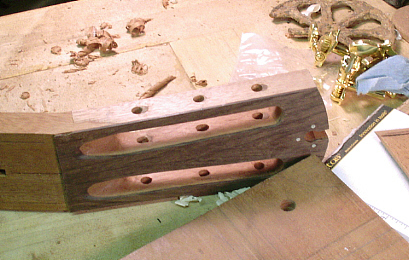 headplate veneer, which is the brown piece leaning up agains the neck. 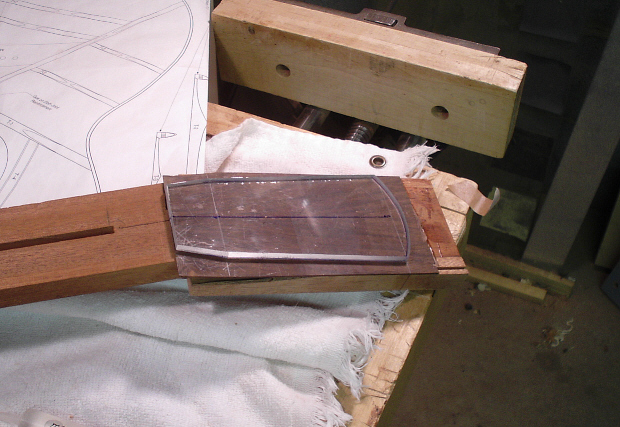 nut because of my decision to put the nut on the flat part of the neck..
As with my other Lexan templates, I cleaned up the bandsawed edges with a block plane and files. 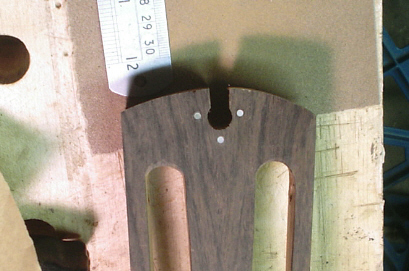 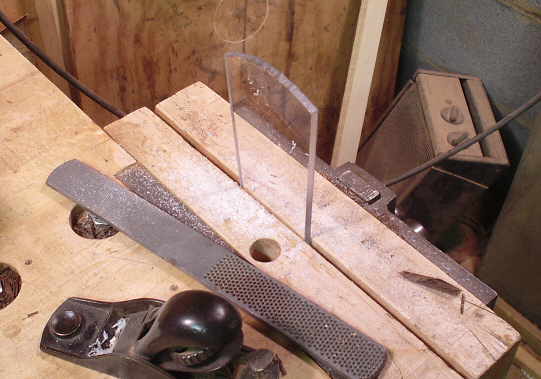 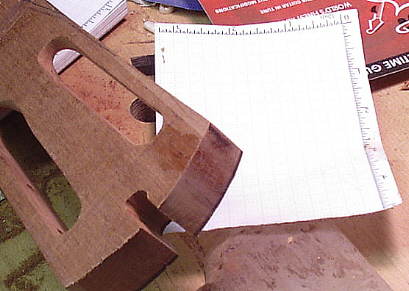 the profile there--it will be easier to cut the headstock if it is flat on the face. 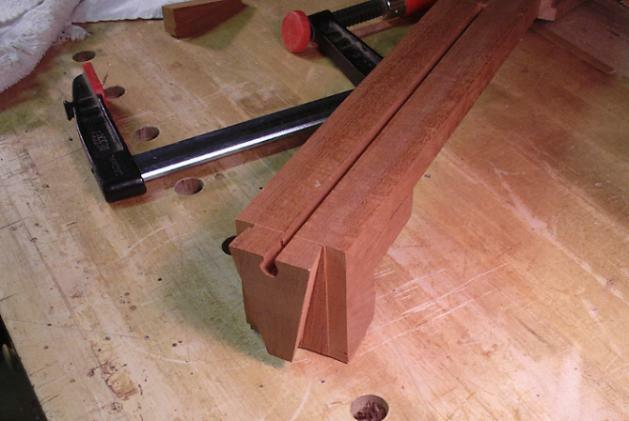 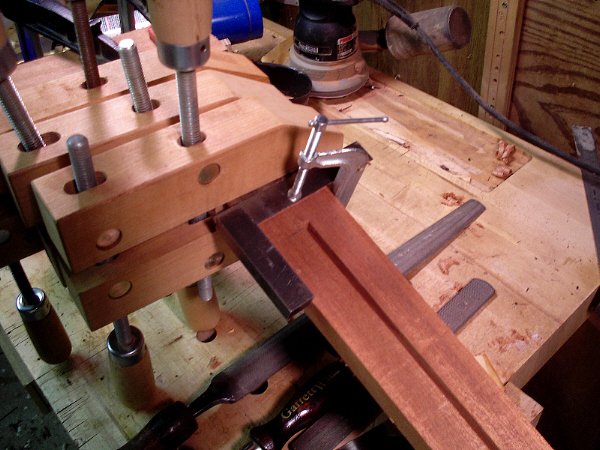 to the tenon cheek cut. 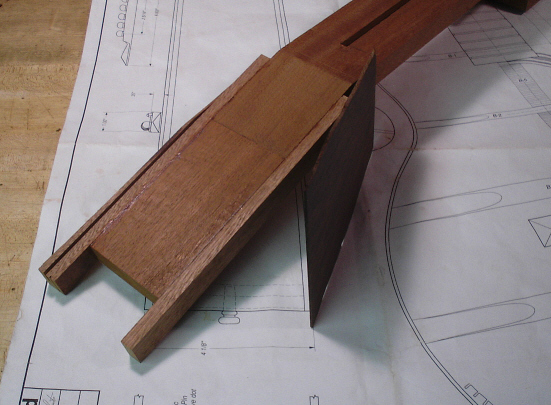 line of the tablesaw from the initial shoulder-defining cut. 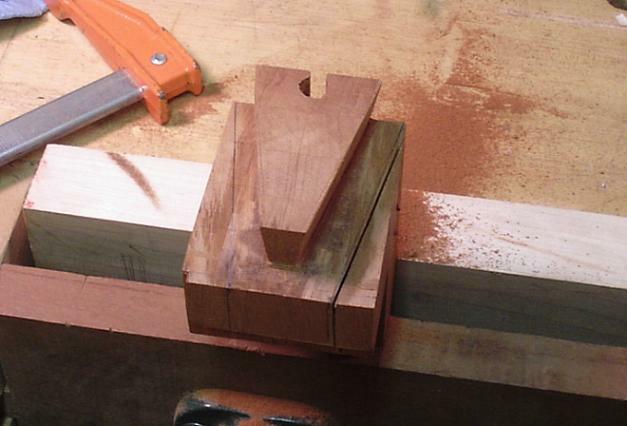 And then I cut away some of the waste from the shoulders to make it easier to fit the tenon to the mortise. 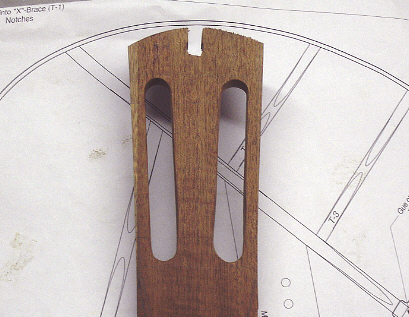 should 'meet' in the center. 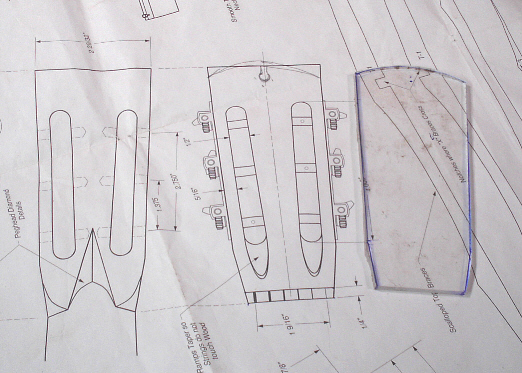 But I got them wrong. 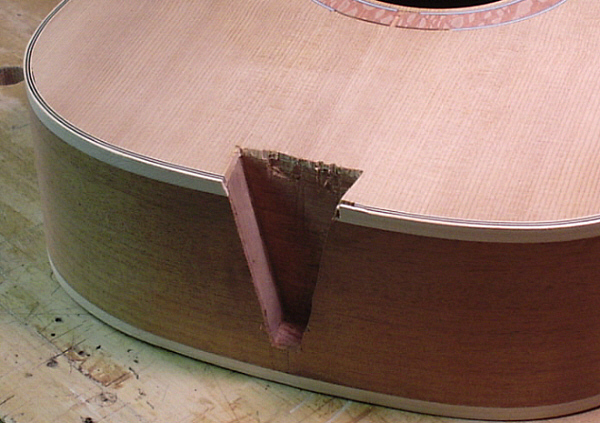 looking for on this guitar. 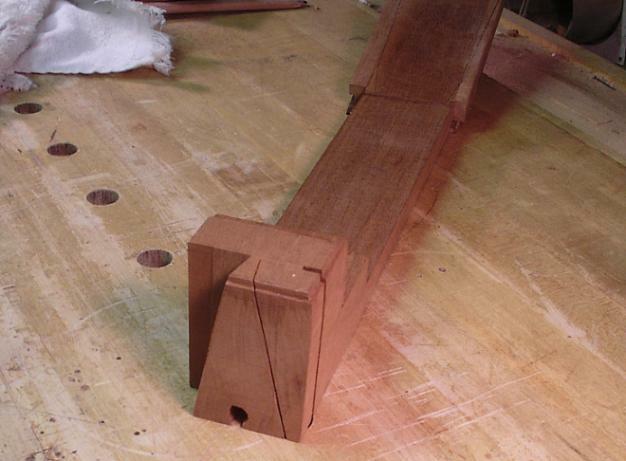 small gap is easily spotted. 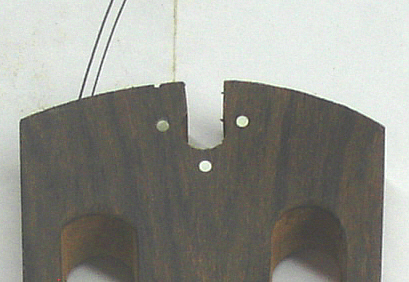 If the inner purfling layer were black that gap wouldn't be noticeable.